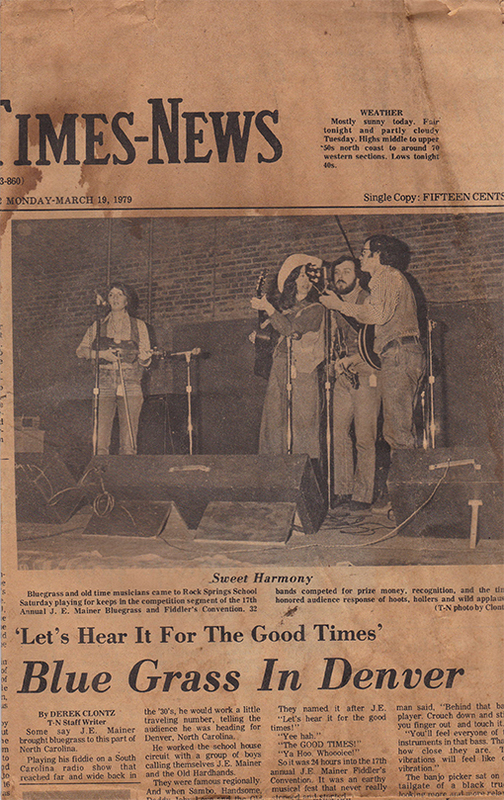 Early in the winter of 1976, John Whitley, Pat Wingo, and Leonard McPherson, were turning their shared love of bluegrass into a band. After a strong winter rain, the creek behind their rented house in Charlotte, NC, ran red from the washed clay on the banks. It seemed like every time it rained, the little creek would turn a bright shade of red. The roommates called the stream the Dirt Creek, although unbeknownst to them, it’s official name was Toby Creek. 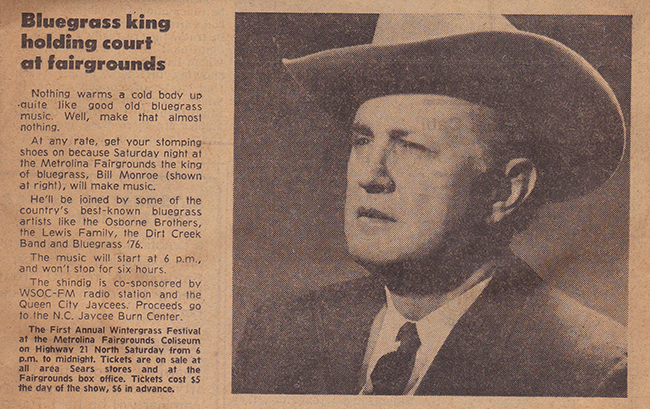 It seemed very natural, then, to call the group the Dirt Creek Band. The band began playing small venues in the UNCC area and traveling to area fiddlers conventions. Soon, the band started winning prizes at the fiddlers conventions, and the name Dirt Creek Band started to become well known. The band hooked up with several talent agencies in the Charlotte area and was soon playing gigs throughout North and South Carolina. Everyone was working day jobs, finishing their educations, getting married, and starting families, but the music kept on going. In 1978, Sue Trammel Thornton joined the band on guitar and vocals, and the four core members that are playing together today became a unit. The band continued to actively play through the 70s, 80s, and 90s before taking a sabbatical after the turn of the century. Dirt Creek did a stint as the house band at Carowinds during 1988 playing Saturdays and Sundays at the Troubadours Roost. Life is making the full circle and the original band is together again and actively playing. Kids are grown. Day jobs are fewer and less demanding. The music is still fun and good. 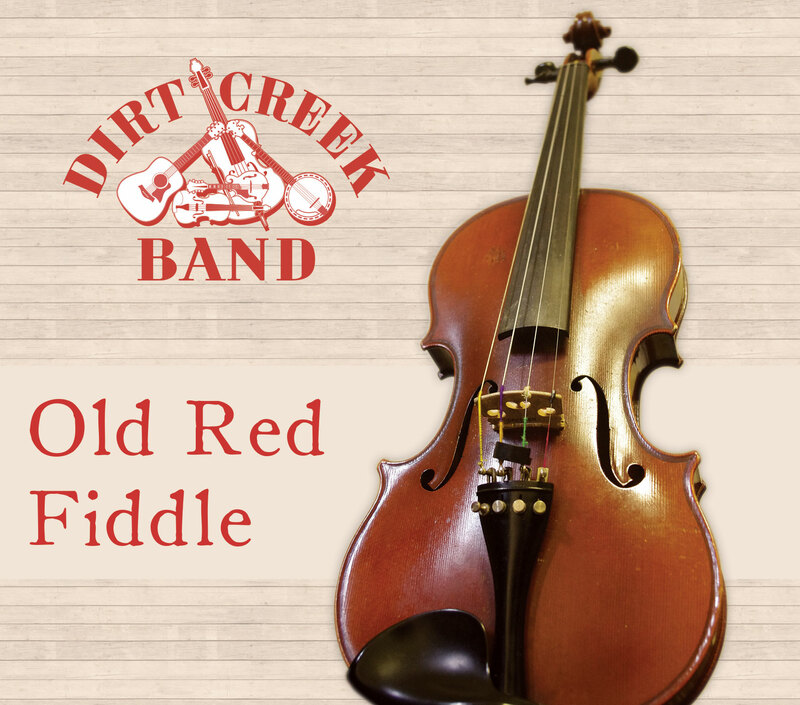 The Dirt Creek Band is ready to perform bluegrass music for all occasions. If you think bluegrass music will add to any festivities you are planning, give us a try. You will not be disappointed.